Yesterday we picked the first of the apples from our apple tree (woo hoo!) which means that as far as I’m concerned it’s the perfect time to share this simple apple tree craft for kids. It’s super easy to set up and perfect for encouraging a little chat about the change in seasons. 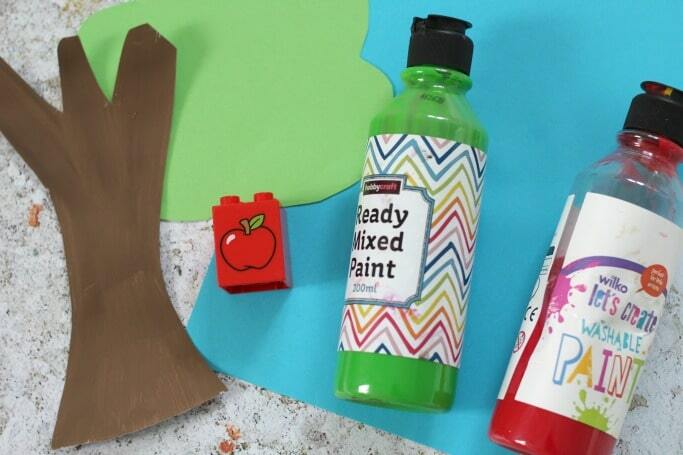 Once your tree is ready use the duplo to make red or green apples on the tree – dipping it into the paint and then stamping it onto the green leaves and branches. Once it’s dry you could also colour in the apples if you wanted or add some leaves for your apples. Apples being stamped on places other than the main bit of the tree? Well I figure that’s the perfect excuse to discuss windfall apples! Like this? 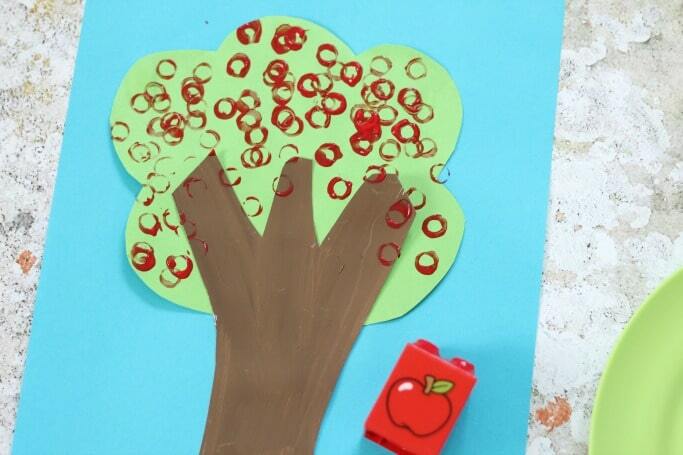 Why not try out our duplo stamped autumn tree craft or check out the round up of apple tree crafts? And of course make sure you bookmark this page or pin the image below so you don’t forget to try it out! This is such a sweet little Autumn craft for kids, and a great way to use Legos!